Ithaca, NY — August 20, 2013 — The New York Six Liberal Arts Consortium has announced its purchase of the Ensemble Video platform to provide the core video streaming infrastructure for its six member campuses – Colgate University, Hamilton College, Hobart and William Smith Colleges, Skidmore College, St. Lawrence University, and Union College – and for the New York Six MediaShare Project. An initiative developed through the partnership of the New York Six library directors and chief information officers, and supported by a grant from the Andrew W. Mellon Foundation, MediaShare supports cross-campus collaboration in library collections and information technology. 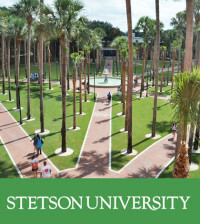 The consortium will utilize the Ensemble Video platform to streamline video management and publishing across its six member campuses, thereby reducing costs, enhancing services through cooperation and coordination, and providing a scalable framework for the schools to meet the growing demand for video in higher education. Ensemble Video enables secure access to content; rich publishing options for course lectures, campus events, and guest speakers; and facilitate sharing of media collections and technologies among New York Six campuses. 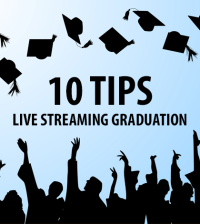 Users will be able to embed single videos and video playlists in a wide variety of learning management systems, HTML pages, blogs, portals, and other content management systems. About Ensemble Video: Ensemble Video is a flexible online video platform that simplifies video management and delivers content to a variety of devices, over a myriad of networks. Ensemble Video enables hundreds of progressive organizations across the globe to accelerate learning, increase viewer engagement, improve knowledge sharing, and reduce the cost of doing business. Ensemble Video offers self-hosted, cloud-hosted, and multi-tenant deployments, and works in concert with a wide range of complementary video and web technologies to streamline video management and publishing. Learn more about our platform by visiting our website and find out how our customers use our software on our blog. For a free trial or demo, contact us and begin orchestrating your online video today! 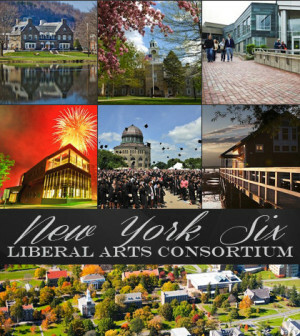 About New York Six Liberal Arts Consortium: The New York Six Liberal Arts Consortium is a cooperative venture of six upstate New York liberal arts institutions: Colgate University, Hamilton College, Hobart and William Smith Colleges, St. Lawrence University, Skidmore College and Union College. The Consortium facilitates collaboration among its member institutions in fulfilling their educational missions and serving the public good. Through the sharing of expertise and resources, the Consortium enhances opportunities for students, faculty and staff, while reducing colleges’ individual and collective operating and capital costs.